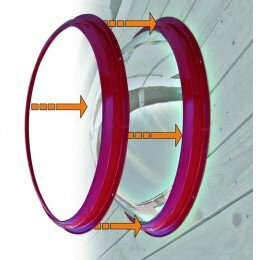 Dome Mirrors with 360° viewing can be fitted to a ceiling or suspended by chains. 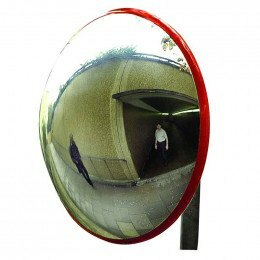 Alternatively 1/4 face mirrors offer 90° vision at right angle turns and 1/2 face dome mirrors offer 180° vision to give a wide 3 way viewpoint. at T junctions. Choose from 2, 3 or 4 way viewpoints with delivery normally next working day. The Panoramic Ceiling Dome Mirror offers wide angle surveillance from any direction. But is this the best for your needs?